GF Meals will be holding a FREE tasting this Saturday, December 5th. Full information is below and comes directly from GF Meals. I love GF Meals' products, particularly the bread. GF Meals' gluten free bread is the best I have ever tasted. The company also ships nationwide! GF Meals is definitely worth visiting, especially since they are giving away FREE samples. How can you turn that down? One More Thing...During the month of December gfMeals is holding a Holiday Food Drive to benefit Los Angeles Regional Foodbank. Bring donations into their store or make a contribution online. They'll give you 10% off your next gfMeals purchase. Please join gfMeals, by Your Dinner Secret, with your family and friends on Saturday, December 5th at their Woodland Hills store between 11 AM and 2 PM. They welcome you to drop by at any point during this time frame. Come give them your feedback on NEW products before they hit their nationwide menu. About gfMeals - gfMeals, by Your Dinner Secret, makes living a gluten and casein-free (GFCF) lifestyle, delicious and stress-free. Offering a vast menu of family-friendly, ready-to-cook entrees and sides, as well as the most delicious GFCF baked goods, gfMeals ships food NATIONWIDE to your door. Every meal comes frozen, with simple cooking instructions. Your family will be delighted by our Chicken Tenders, American Turkey Meatloaf, Turkey Burger Macaroni, Meatballs, Super Mac-n-Chz, Mashed Potatoes, Faux Buttermilk Sliced Bread and Chocolate Chip Cookie Dough, just to name a few. Via Website: Place your order at www.gfMeals.com. Via Phone: Call gfMeals at 888-700-5610 and place your order over the phone. QUESTIONS? Call us at 888-700-5610 or email us at info@gfMeals.com. My sister Alyssa visited me in Los Angeles over her Thanksgiving break from college, and we had a great time. I'll be doing more posts about her visit and the gluten free places I took her around the city, but for now a quick post about a great gluten free product available online and at your local grocer. When we were deciding what to prepare for Thanksgiving, we knew turkey would not be on the menu. We decided to make a traditional California thanksgiving -- tacos! We made fresh guacamole, a delicious mix of black beans, red peppers, and tomatoes, and found a great, gluten free salsa to place on the tacos. It's Santa Barbara Salsa and, you guessed it, is made near Santa Barbara here in California. We picked up our Santa Barbara Salsa at the Pavilions here in West Hollywood. The best part? All products are labeled gluten free (if they are gluten free)! I haven't seen the pestos on shelves, so I can't confirm that they are gluten free. It does say on the company's website that all of their products are gluten free, but look for the handy "Gluten Free" before purchasing. Santa Barbara Salsa makes fresh salsas, shelf-stable salsas, pepper sauces, and pestos to go along with gluten free bruschetta. That's right, Pinkberry is now offering gluten free chocolate cake crumbles as a topping! Cross contamination issues may come up since they are stocked next to other toppings, but I gave them a whirl to try them out. I made sure to ask whether the spoon they used was dedicated to the gluten free chocolate cake crumbles, and the polite swirler answered affirmatively. 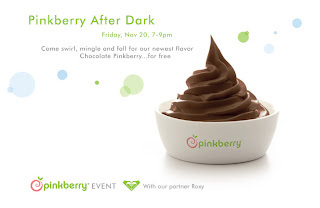 By the way, do you call a Pinkberry worker a swirler? I ordered up a half chocolate, half pomegranate with the gluten free chocolate cake crumbles and yogurt chips. I tried the new chocolate flavor before ordering it; it certainly is not tart. Instead it's creamy and very rich chocolate -- too rich for my friend, Hilary, who joined me in the expedition. 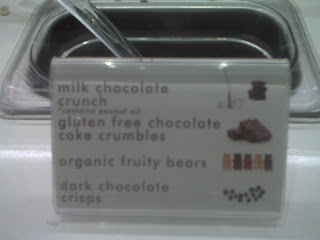 I love the gluten free chocolate cake crumble!! It was also very rich, so it probably isn't the best idea to pair it with the new chocolate flavor. I asked my swirler to put it on the Pomegranate side of my small froyo. They were rich, delicious, chewy, and altogether amazing. I wish they would package it and sell it on its own! I'm not sure if this topping is available in your local Pinkberry; I'll check the WeHo location soon to see if they offer it there too. The gluten free chocolate cake crumble is shown on the froyo emporium's website here. I was recently in touch with Jill, the owner and baker behind Glow Gluten Free. We tweeted back and forth and ended up e-mailing. I hate to start the post off with a bit of unfortunate news, but the products are not available in stores here in California. Fret not, readers -- Jill is working hard on making them available around the L.A. area. Do you have any ideas of where you would like to see them around these parts? Leave a comment for Jill to read! 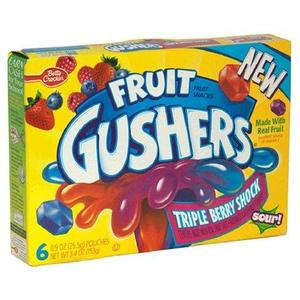 More importantly, because they will be available out here in California soon, how do they taste? They are absolutely, unbelievably amazing. I think what really sold me on them was the fact that my favorite flavor ended up being the Gingersnap cookies; I do not like Gingersnap cookies in general and the fact that Jill was able to craft a delicious, gluten free Gingersnap cookies speaks volumes about how great her other cookies are. The Double Chocolate Cookies were great to dunk into a glass of Rice Nog and the Chocolate Chip cookies were great. The cookies are gluten free, casein free, trans fat free, and preservative free. They are available in Connecticut, Illinois, New Jersey, New York, Ohio, Virginia, and Wisconsin. 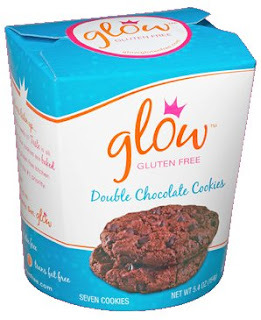 I can't recommend them highly enough -- if you are in any of the just mentioned locations, get to the nearest location that carries Glow Gluten Free cookies and buy a box of each. You will not be disappointed! 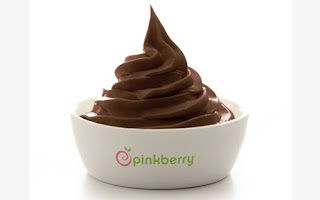 Pinkberry is offering up its latest flavor FREE with toppings. You read that right -- FREE. 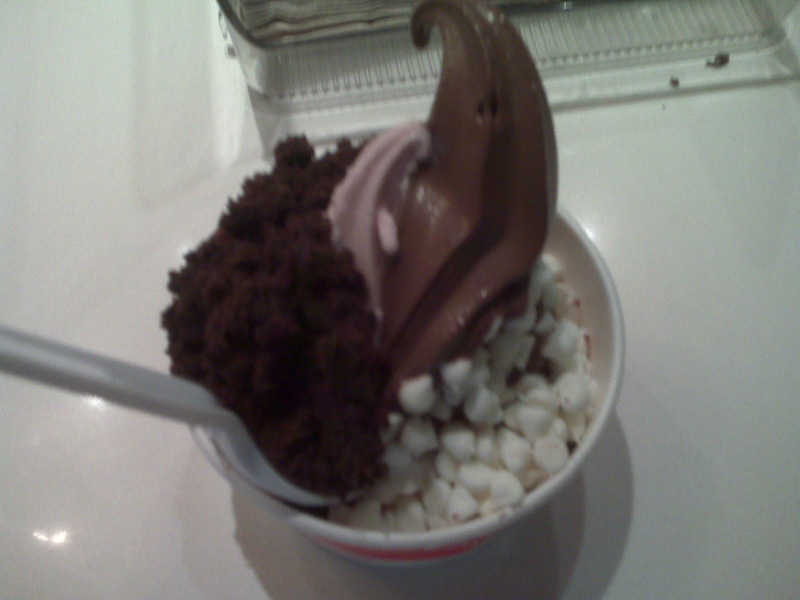 The national frozen yogurt chain is offering a free small chocolate with toppings when you purchase another product of equal or greater value. 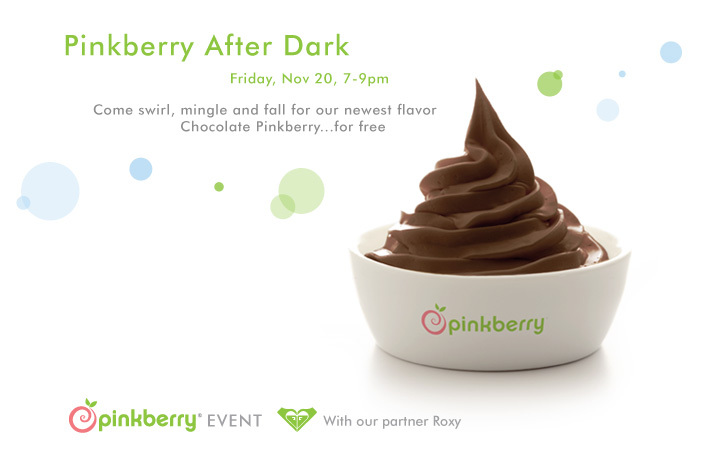 More information is available on Pinkberry's official blog. I haven't been able to check it out yet, but I'll definitely be going soon. Think Products has just put out a new, gluten free product: thinkThin dessert bars. I love Think Products' Think Thin bars and their Think Bites and am looking forward to trying this latest addition to their line, which also includes ThinkPink. 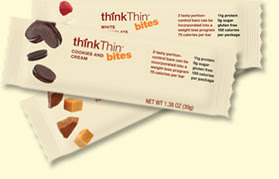 These new thinkThin dessert bars are gluten free and pack 15 grams of protein in each bar with only 200 calories. They come in three flavors: chocolate covered strawberries, lemon creme pie, and tangerine cremesicle. Want to try them out? They are available for purchase through Amazon.com or Think Products' site. I haven't seen them on shelves yet, but will look for them in my local Whole Foods and Trader Joe's. Today was a particularly long day of school. The hours, the minutes...no, the SECONDS crawled by while I had my head deep in case law research. The topic itself is very interesting, but the appeal I was reading was an appeal on procedural grounds. I won't get all legal mumbo jumbo on you here, but suffice it to say it was a boring case. Speaking of mumbo jumbo, did I ever link to one of the blogs that inspired me? My roommate in college started a blog for our university's admissions office, appropriately called Mumbo Jumbo (our mascot is the Jumbo). Sorry for the tangent, as I said, it was a LONG day at school. I needed a bit of a pick me up at around 2:30pm, so I headed to a local grocer to search out something gluten free. I saw that there was an enormous selection of tea. I've posted about this before (here), but tea can sometimes present a problem for us Celiacs. Luckily, I went for the Bigelow Cranberry Apple. I turned it around to read the back of the box and there, staring right at me in large letters, it read "GLUTEN FREE." Wow! It is always great when I find a new product without even meaning to. When I got back to my desk I decided to check out the Bigelow website. After searching the FAQ section for a bit, I stumbled upon a list of the Bigelow products that are gluten free. They even did testing on certain products that contain barley and found that the gluten levels were extremely level. Imbibe in those at your own risk! 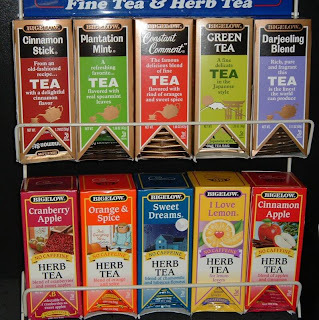 The full list of gluten free Bigelow teas can be found here. After waiting 1,000 years to finally do the drawing for my Gummie Giveaway, we have a winner -- Callie Anne! Thanks to everybody for your comments; look for another giveaway soon. In the meantime, Callie Anne, I hope you're reading this -- e-mail me so I can process your information to get you your prize pack! Update: Unfortunately for Callie Anne I haven't heard from her yet... so I've had to choose a new winner. The new winner is Gluten Free Maps! Please contact me so I can provide the appropriate information to Betty Crocker to get you your prize pack. With Starbucks cutting its Orange Valencia Cake from stores with little remorse, gluten free coffee enthusiasts in Los Angeles have been struggling to find a replacement shop for their morning jolt. The Orange Valencia Cake was truly more of a "treat" than something I would order every time. It was also frustrating to see them individually wrapped -- such a waste of resources! Well lucky for you coffee (and gluten free!) enthusiasts, a family run shop on Larchmont called Bricks & Scones is here to fill the void. In the interest of full disclosure, I have to admit that I loved this shop even before it opened -- an entrepreneurial '08 Tufts alum, Jinah Kim, opened up the shop, so my Jumbo allegiances were already favoring the café. Jinah and I go way back, having lived 3 feet across from each other in Tilton Hall our freshman year. When she told me months ago that she was thinking about opening up a coffee shop in space her family owned on Larchmont, I tried my best to convince her that she need to have gluten free options available. Yesterday the fruits of my pestering were unveiled in the form of awesomely delicious Carrot Cupcakes topped with delicious frosting. It's been too long since I've had a great, fresh cupcake. 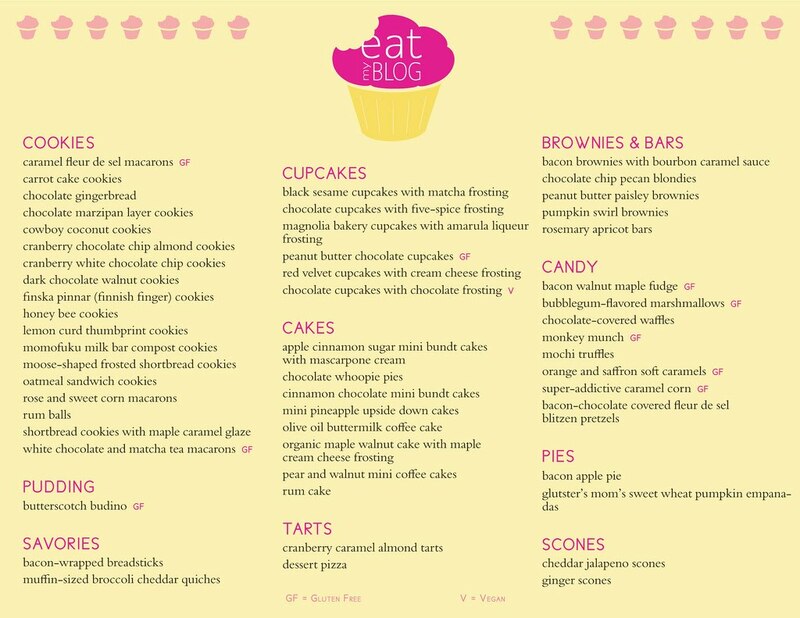 While French Meadow's cupcakes are great, there is nothing quite like being able to order a gluten free cupcake at a coffee shop alongside your gluten eating friends. All of Bricks & Scones' pastries are made fresh and in-house, so there is no need to worry about eating leftovers or packaged products. The carrot cupcake I had was great, and paired up perfectly with The Blaker Special -- hot chocolate flavored with pumpkin spice. I would normally never order a carrot cupcake but when Bricks & Scones tweeted me I knew I had to get over to the shop to check out their new gluten free products. The frosting wasn't hard and crunchy as is typical in a previously frozen gluten free product; instead it was smooth and creamy. Jinah also told me that Bricks & Scones is experimenting with other gluten free products, but wants to perfect them before releasing them to the public. Judging by the gluten free carrot cupcake I had last night, I have no doubt that Bricks & Scones will be able to pull off other gluten free recipes quite well. 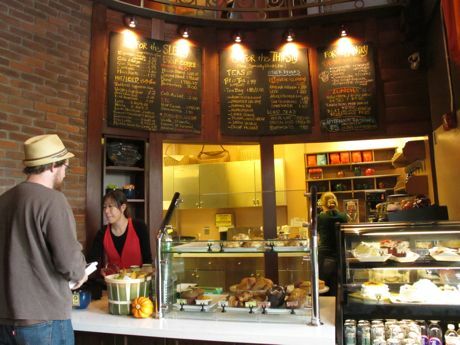 Bricks & Scones serves up Intelligentsia coffee alongside its delectable pastries. Jinah told me that she expects to have gluten free items available every afternoon -- you can always call ahead to make sure! 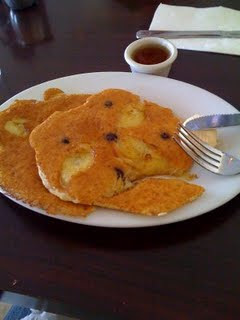 For you students out there, Bricks & Scones offers 10% off every visit with your Student ID. And for those of you who use reusable mugs, make sure to bring them in -- you also get 10% off your visit! The coffee shop also offers free Wi-Fi access and two floors filled with seating; the upstairs is reserved as a "Study Space" and quiet is recommended. Bricks & Scones also has an awesome outside patio. There is plentiful seating outside so when the weather warms up a bit Bricks & Scones will be my go-to Sunday morning place for a carrot cupcake, hot chocolate and the Sunday Times -- what could be better? 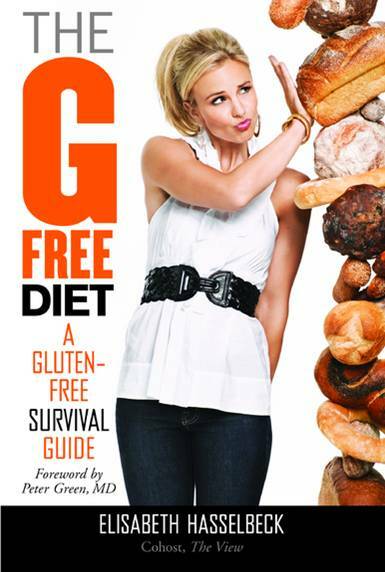 In June, news broke that a Massachusetts author had filed suit against Elisabeth Hasselbeck concerning the latter's new book, "The G-Free Diet." Almost immediately after news of the suit broke, Hasselbeck commented on the allegations and was prepared to defend her book in court. A federal judge has dismissed a lawsuit against Elisabeth Hasselbeck; the lawsuit was brought by Susan Hassett and alleged that Hasselbeck had used material from Hassett's book for Celiacs. Hassett's attorney refused to further pursue the case against Hasselbeck. The Boston Herald has further information here. I was snacking on a ThinkThin Bites bar here in the library and decided to check out ThinkThin's websites for any updates. I love ThinkThin bars -- they are gluten free protein bars that taste awesome. The ThinkThin bars are covered in chocolate, low carb, and high in protein. How can you go wrong? I was pleasantly surprised to stumble upon ThinkThin's ongoing SoCal tour. During the month of November and stretching into December, ThinkThin will be doing demonstrates throughout Southern California. Check it out here for the full information or check out the dates below from the product's website. 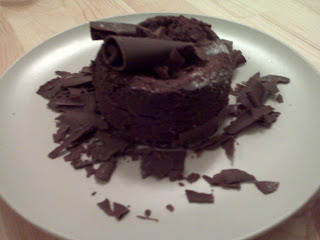 OK, so it didn't look quite like that in the store, but it's a chocolate flourless cake! Hilary brought me in there because she wanted to pick something up for her mother -- she knows I normally don't frequent establishments that discriminate against us Celiacs! It was my lucky day, and after asking the owner about the preparation of the cake I was convinced that the cake was perfect for me. And indeed it was! I warmed it up for about 15 seconds in the microwave and fell in love upon first bite. It was perfectly sized with a great texture -- not too hard and not too soft. The person who helped me pick out the cake told me that they don't always have it in stock, so definitely call ahead to see if they have them in stock. If they do, it's a great treat for you Celiacs while your non-Celiac friends munch on all the great gluten-filled stuff the shop serves. After perusing the Bakery's website, it looks as if the Chocolate Flourless Decadence (the official name) can be found in over 15 Ralph's in the L.A. region. Check out the listing here. ZPizza recently launched a new gluten free product: ZBites. I had tweeted with ZPizza about the new product and was excited to finally try it. After stopping in at the new coffee shop on Larchmont, Bricks & Scones (full post coming soon! ), I stopped in at ZPizza to finally check out ZBites. ZBites are white meat chicken bites with gluten free breading, similar to a chicken nugget but way fresher. In the interest of full disclosure, I've eaten close to three chicken nuggets in my entire life. They just never really appealed to me. However the grass is always greener and after being diagnosed with Celiac I was sad that I could no longer sample them. ZPizza has saved the day with their new ZBites -- these chicken nuggets are way better than I remember chicken nuggets being. ZPizza's chicken is the main ingredient and is definitely higher quality than any chicken nugget I have ate in my pre-Celiac days. The chicken tasted fresh and the bites were sizable -- certainly not your run-of-the-mill frozen chicken nugget. The gluten free breading wasn't as thick as gluten-filled chicken nugget breading is. It instead was more of a light dusting than a crunchy outside covering. The crunch that chicken nuggets often had is nowhere to be found in the ZBites. I think that the lack of crunch is a testament to how fresh the chicken is -- instead of crunching into a defrosted chicken nugget you're biting into food that tastes fresh. What a novel idea, right? 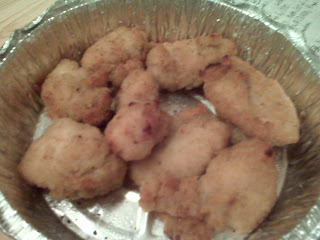 I liked ZPizza's ZBites, but I can't say I'll be going back for more -- I'm just not that into chicken nuggets. For Celiacs looking for a chicken nugget replacement, this is definitely the best option. The chicken tastes great and the gluten free coating flavors it well. ZPizza also offers three gluten free dipping options: Raspberry Chipotle, Ranch, and BBQ. An order of ZBites will run you $6.50 without tax, and is definitely a large portion! ZBites are not yet available at all locations, so make sure to call your local ZPizza to see if they are available before headed over. As of October 2009, ZBites were available at these locations. You can follow ZPizza on Twitter here. This will be a short post, but I wanted to update you about some disconcerting news. I heard from my friend Justin, who works at Real Food Daily, that Green Leaves Vegan had issues with not being entirely vegan. I snooped around the internet to see if there was any more support for what he said, and found a great post by Quarry Girl that tested 17 Los Angeles establishments that purport to be vegan. In that post Quarry Girl admits that the study she conducted only represented a snapshot in time and that by the time readers checked out the post a restaurant included on the study may have changed its practices. Green Leaves Vegan's establishment was understandably upset after finding out about Quarry Girl's post, as it finished as a "Big Time Loser." Quarry Girl was threatened with legal action over her comments and updated her post with the letter sent to her by Green Leaves' attorney here. Green Leaves even went as far as offering Quarry Girl the opportunity to retest its food; this may render a vegan's concerns moot, but I wanted to provide the full history of Quarry Girl's study. Why am I writing this post? Well, after my visit to Xooro today, Hilary and I drove up N. Kings Road and hit a red light at Santa Monica Boulevard. Right in front of me I saw "Green Leaves" with an abundance of promotional signs. When I arrived home, I pulled up Green Leaves' website and saw that it listed the new West Hollywood location that I had seen. What was truly disconcerting, apart from the above vegan tests, was that I now do not see any items being marked gluten free on the restaurant's menu. I'm not sure what caused this change, but I wanted to alert my readers as soon as possible that the pancakes I previously posted about may no longer be made in a gluten free manner. I called the restaurant and they said they still had them, but I have not been able to visit the restaurant in person to confirm this. I will check into this as soon as possible, but be warned before eating at Green Leaves Vegan that the items previously marked gluten free may no longer be made gluten free. I've been meaning to go to Xooro's new West Hollywood location for a long time now. However, I've called a few times and whenever I was ready to go they didn't have any gluten free churros in stock. My schedule and Xooro's finally coincided today, and my friend Hilary and I went to check out the churro shops new location. Xooro's first location was in Santa Monica; the link to the left was one of my very first posts here on Gluten Freeways so enjoy the throwback. Xooro's location on Melrose is certainly cozier than the Santa Monica location; instead of the two tables that were at the Santa Monica location last time I visited, the Melrose location utilizes stools at countertops that overlook Melrose Ave. 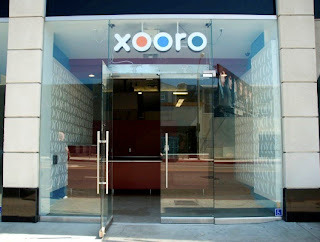 I enjoyed setup of the Xooro on Melrose as much as I did it's Santa Monica location; the shop is located just blocks from a variety of trendy Melrose shops (Marc Jacobs, Marc by Marc Jacobs, Diesel, Fred Segal, Johnny Cupcakes, etc.) so you can see people walking outside of the shop. 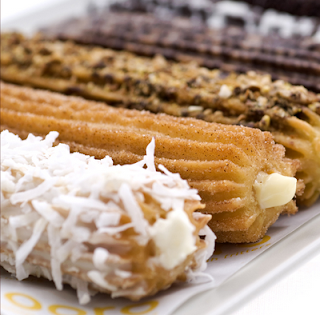 That's just a little preview of the filled churros. Hilary and I really liked the Dulce de Leche and Jordan's Favorite; the Triple Chocolate was a little too rich for Hilary's taste and by that point I was pretty full too. Three churros definitely does a body good. You can also order original churros without any filling, although I would strongly recommend that you go for the filling. I also strongly recommend that you call the Xooro location you are going to visit to make sure they have gluten free churros available in stock. As I said earlier, there have been times that I've called the West Hollywood location and they did not have gluten free churros on hand. Also be mindful that the Santa Monica location is closed on Mondays (at the time of this post). The gluten free churros also take a bit longer to prepare than do the non gluten free churros, but we didn't mind the wait. Aside from those caveats, enjoy! Please Note: I have not visited this location and am not sure if it is open yet; it is listed on Xooro's website. I strongly recommend calling the Santa Monica location to inquire about the National City location before visiting. In preparation for Halloween I visited my local Pavilions in WeHo to pick up some Halloween snacks. My Halloween plans consisted of walking Santa Monica Boulevard -- for those of you who don't know, every year the Boulevard hosts over 400,000 partygoers on Halloween. Since my friends and I were planning to walk the Boulevard, I was expecting people to want to walk (or stumble) back to my apartment after the night's revelries. While I was walking around I stopped in at Pavilions' gluten free section, right near Jamba Juice. I saw that they were excepting to receive Betty Crocker's Gluten Free mixes and had a nice selection of gluten free products. When I did a 180 to walk away from the section, I was pleasantly surprised to see a new product from French Meadow. I'd never seen this label before so I figured I would check it out. Pavilions had a display with chocolate chip cookies, chocolate cupcakes with chocolate frosting, vanilla cupcakes with vanilla frosting, and assorted muffins -- all gluten free, of course. I picked up a box of four cupcakes, a muffin, and a cookie and headed out of Pavilions armed with gluten free snacks for me and gluten free snacks for my friends (corn chips, Starburst, Skittles, some veggies and gluten free hummus). 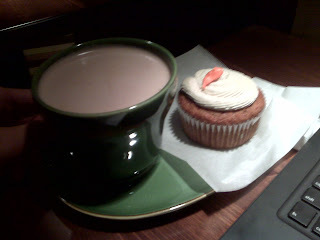 When I got home I tried to focus on some much needed studying... but the cupcakes got the best of me. I knew I had to try one. They looked really fresh and, for somebody not used to fresh cupcakes (instead of the normally frozen ones), I had to dig in. 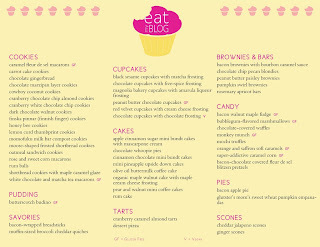 I definitely was not disappointed with my decision after trying one of these cupcakes -- it was great! There was an initial hesitation on my part that the cupcake wouldn't taste good because it was available in a large grocery store. I was definitely proven wrong. Although French Meadow is based in Minnesota, these cupcakes tasted especially fresh. 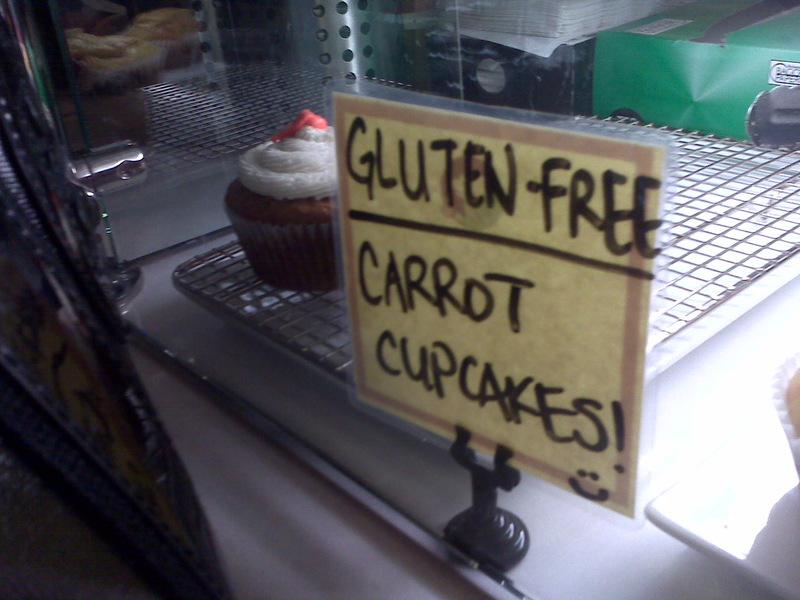 While for the freshest gluten free cupcakes in L.A. I'd still turn to The Sensitive Baker, I appreciated that these were available so close to where I live. The cupcake wasn't crumbly as many gluten free cupcakes are; instead it tasted like I remember a gluten filled cupcake tasting. The chocolate chip cookie was great too, especially for a packaged cookie. Again, while I prefer fresh cookies from The Sensitive Baker, French Meadow offers some of the very best packaged products I've found. In a blind taste test, French Meadow might even be able to fool me into believing that it was a fresh cupcake -- it was that good! The Apple Cinnamon muffin was tasty as well, however it was extremely crumbly. When I think back to my gluten eating days (I miss the muffins in The Tower!) I remember muffins being a pastry that often crumbled. On the plus side, the muffin was still moist and tasted just as fresh as the cupcakes and cookie. French Meadow is an awesome gluten free brand; I can't wait to check out more of their stuff!